A Republican strategist with ties to Gov. 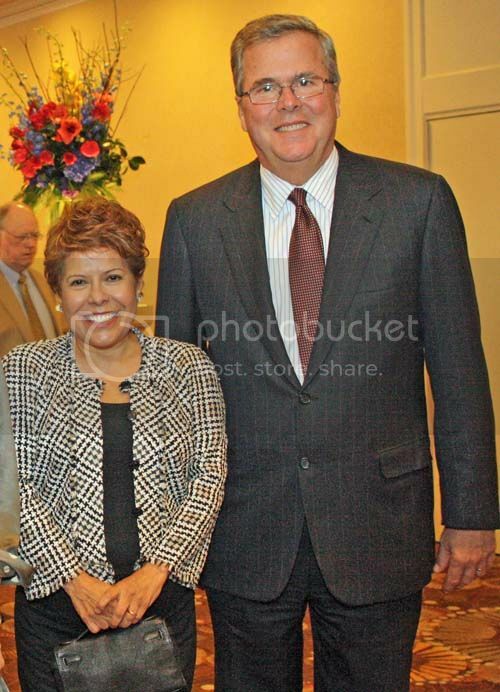 Susana Martinez has been selected as Jeb Bushs presidential campaign manager. Danny Diaz, who has worked on and off for Martinezs political operation for the past five-plus years, was tapped for the new job this week in a surprise move, according to The Washington Post. The Washington, D.C.-based Diaz has worked as a press consultant and adviser for Martinez. He played an active role in the governors 2014 re-election campaign and spent time in New Mexico helping with her inaugural events. Despite Martinezs insistence she is not interested in national office, might the hiring of Diaz suggest a deepening link between Bush and Martinez ...? Jay McCleskey, the governors political adviser, told the Journal that Martinez is staying on the sidelines for now. While the governor is not making an endorsement at this time, she enjoys a strong relationship with Gov. Bush, as well as other Republicans running for president, McCleskey said Tuesday. While Sarah Palin endorsed Martinez in her first term election in 2010, Susana is not as conservative in some areas as we would have liked, especially social issues such as abortion. On the other hand, I believe her statements that she doesn't have national aspirations to higher office given that she is the primary caregiver to her older developmentally disabled sister. I really really wish Jay would go with Diaz so we could have the old Susana back, the one that doesn’t listen to and then act upon their advice.